The following is a list of crematoriums, cemeteries and Churches that we regularly use. We can offer services in the surrounding villages also. 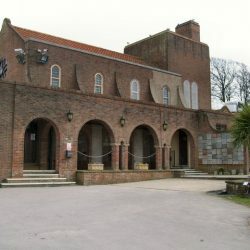 Eastbourne Crematorium is managed by Lewes District Council and is located just four miles east of the town centre at Hide Hollow in Langney, Eastbourne. The grounds have been designed to be sympathetic with the natural landscapes that surround the crematorium. image by courtesy of Julian P Guffogg and licensed for reuse under this Creative Commons Licence. 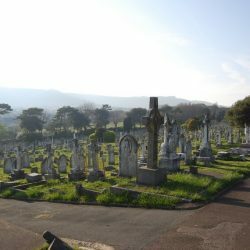 Hastings Cemetery and Crematorium is located on the north eastern outskirts of Hastings town and situated within an 87 acre site. I hash glorious views over parts of the Sussex Weald and Rye Bay. The Crematorium was opened in 1956 and has been recently updated to house the latest emissions abatement equipment. 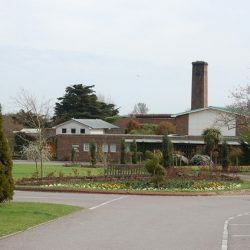 The Downs Crematorium opened in 1941 on the site of Brighton and Preston Cemetery and is situated in a residential area close to the centre of Brighton. image by courtesy of Paul Gillett and licensed for reuse under this Creative Commons Licence. 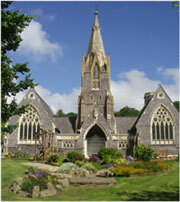 Woodvale Crematorium is located close to the centre of Brighton off the Lewes Road (A270). 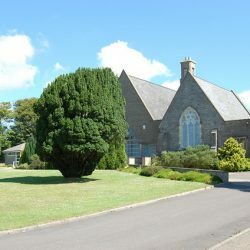 The grounds have been developed in a well wooded valley and the area adjacent to the north and south chapels has been beautifully landscaped with lawns, a waterfall and stream, rockeries and flower beds to provide a peaceful and tranquil atmosphere for those attending funerals. Ocklynge Cemetery is located in the Old Town area of Eastbourne and is the larger of the two Eastbourne cemeteries. It is now closed to new full-size graves, although burial in existing family graves may still be possible. image by courtesy of N Chadwick and licensed for reuse under this Creative Commons Licence. 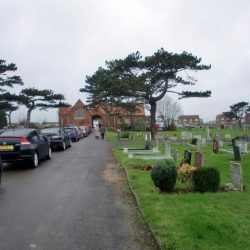 Langney Cemetery is located directly behind the Eastbourne Crematorium just four miles east of the town centre at Hide Hollow in Langney, Eastbourne. image by courtesy of Christine Matthews and licensed for reuse under this Creative Commons Licence. 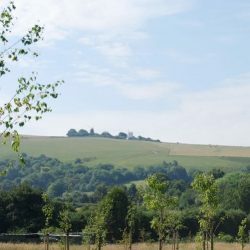 Woodland Valley Natural Burial Ground is located in Woodingdean on the east side of Brighton overlooking the sea and the South Downs. This cemetery. Woodland Valley has been designed to create a meadow and woodland burial ground for interment and cremated remains. 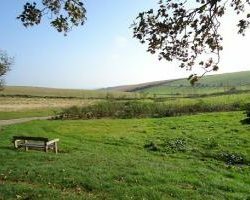 Opened in 2008, and nestled below Jack and Jill windmills, is the 13 acre meadow site within The South Downs National Park.